A Maleficent sequel is in the works. Daredevil is casting a mysterious new regular for season three. The singer of the next Bond movie’s title theme might be a doozy. Plus, new looks at Kingsman: The Golden Circle and the starship bridges of Star Trek: Discovery, and the cast of iZombie teases the next season. Spoilers! 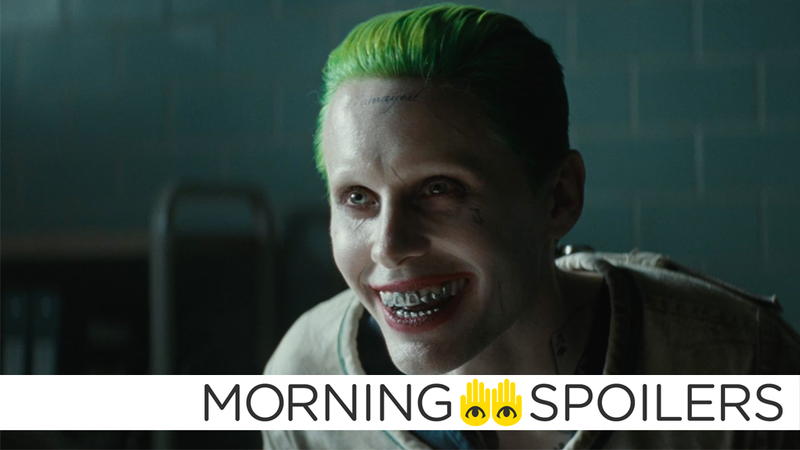 Warner Bros.’ plans for a Todd Phillips-directed, Martin Scorsese-produced Joker origin movie are still pretty fresh, but that doesn’t mean it gets to escape the rumor cycle, and now news allegedly comes from a rather bizarre source: MMA Fighter turned Hollywood actor Brendan Schaub. Gerard Johnstone is the latest in a long line of screenwriters brought aboard to polish the script, according to Deadline. Two new TV spots include both an exploding baseball and an evil ‘50s diner. Lost’s Terry O’Quinn has joined the cast of the semi-Stephen King-iverse series as Dale Lacy, “a pillar of the community” in the town of Castle Rock, according to Deadline. The outlet speculates the character may actually be Stanley “Sin-Eater” Carter, a former S.H.I.E.L.D. agent turned vigilante who gained super-human strength through experimental treatments. Variety has our best look yet at the bridge of the U.S.S. Discovery, thanks to a new photoshoot with the main cast. The latest promo features reality-warping techno-clowns summoning a woman. You know, as reality-warping techno-clowns are wont to do. Finally, TV Line sat down for a chat with the show’s cast about Seattle’s new zombie ecology.